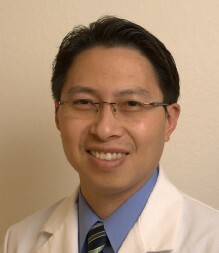 Dr. Daniel Nguyen is our orthodontist at San Jose Dental Specialists. Dr. Daniel Nguyen is from San Jose and attended UC Davis, where he earned a Bachelor of Science (BS) degree in Biochemistry. Immediately following college, Dr. Daniel relocated to Southern California to attend UCLA School of Dentistry where he received his Doctor of Dental Surgery (DDS) degree. After dental school, he completed a General Residency Program at West Los Angeles Veterans Affair Hospital, worked in private practices, and a clinical restorative instructor at UCLA. Although he really enjoyed the art of general dentistry, Dr. Daniel wanted to follow his true passion in orthodontics. He returned to UCLA and completed a three year post-doctoral training in orthodontics and also earned a Master of Science (MS) degree in Oral Biology. He worked for a well known orthodontist in Southern California for a few years before he decided to move back to San Jose to open up his own office. Dr. Daniel is well versed in all aspects of orthodontics and always keeps himself abreast of the latest orthodontic technologies. His practice focuses on orthodontic treatment of children, adolescents, and adults. Dr. Nguyen prides himself on not only treating his patients with the utmost consideration, but also providing them with the individualized and state-of-the-art orthodontic care. He makes every effort to ensure that every visit to the office is a comfortable and informative experience in a friendly and personal environment. Dr. Daniel is also very skillful in bending wires, a must-have quality for an orthodontist. You can see his winning wire sculpture at the annual American Association of Orthodontists meeting a few years ago here. Dr. Daniel is a member of the American Dental Association (ADA), California Dental Association (CDA), American Association of Orthodontists (AAO), Pacific Coast Society of Orthodontists (PCSO), and his local chapter dental society. When he is not working with the patients, Dr. Nguyen enjoys the outdoors with his family, including hiking, swimming, and traveling around the world. He is also interested in photography, computer technology, and always keeps his eyes on the latest gadgets.